Documents and factsheets related to running activities for your section. InTouch – Full details on InTouch, the system used to manage communications at all events and activities within Scouting. This includes a step-by-step approach guiding you through the process of setting up an InTouch system as well further guidance on areas and issues to look at within this and suggestions on how these can be managed. 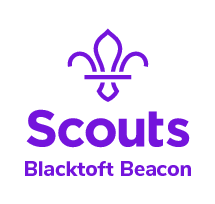 Safe Scouting and Emergency Procedures – PDF of purple card. Download and edit the following forms for you section. NAN Form – Must be submitted to DC at least 7 days prior to your event for all nights away, including; sleepovers at meeting places, District and County events. Nights Away Event Passport – To use for young-people led nights away activities. Young Person Activity Form – Editable parental consent form for use with non-residential events. Young Person Nights Away Form – Editable parental consent form for use with residential events. Nights Away Permit Application – Download, complete and send to DC to apply for a Nights Away Permit. Activity Permit Application – Download, complete and send to DC to apply for an Activity Permit. Log Books – Templates to use for recording relevant experience can be found on this page.